Open faced Blueberry White Cake with Chantilly Cream Filling. 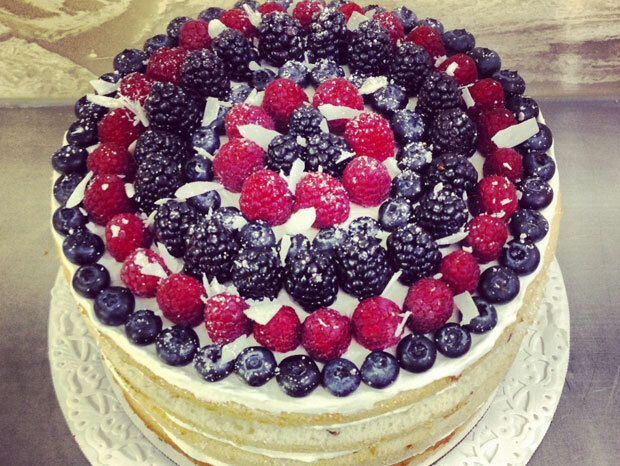 Fresh blueberries, raspberries and blackberries on top. Dusted with powdered sugar and white chocolate shavings. Yes pleaseeeee!! !